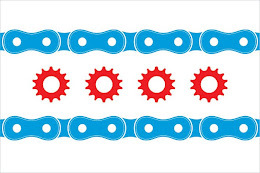 The Chicago Breaking News Center is reporting that a squad car struck a 15-year old boy on his bicycle in Chicago's Albany Park neighborhood. Not surprisingly, the Chicago Police Department has claimed that the police officer involved in the collision was responding to an emergency call at the time of the collision. Sec. 2‑202. A public employee is not liable for his act or omission in the execution or enforcement of any law unless such act or omission constitutes willful and wanton conduct. The important part of this law is the idea of "the execution or enforcement of any law." The caselaw on this phrase essentially says that a police officer will not be responsible for any injuries if they are in the process of responding to a police call or an emergency. Many police officers know this and then claim that they were responding to a police call or an emergency at the time of the accident even though this wasn't the case. Many cases are litigated over whether the police were, in fact, responding to a police call or an emergency. If the police officer was responding to a police call or an emergency at the time of an accident, they may still be held liable if they acted "willfully and wantonly" at the time of the accident. However, "willfully and wantonly" is a difficult standard to reach and almost requires the injured person to show that the police office either meant to injure them or completely ignored them. If you are injured while bicycling by a police car (or ambulance, or firetruck or any other "emergency vehicle") and the lights weren't on or you didn't hear a siren, it is important that you make sure this is noted in any reports of the accident. Remember, it is the police department's burden to show they were responding to an accident and they are entitled to immunity. While this law may favor police departments, and there are good public policy reasons for the legitimate cases, injured people are entitled to fair justice as well. If you have any questions regarding this post or this legal issue, please contact Attorney Mike Keating at MKeating@KeatingLegal.com or 312-208-7702.